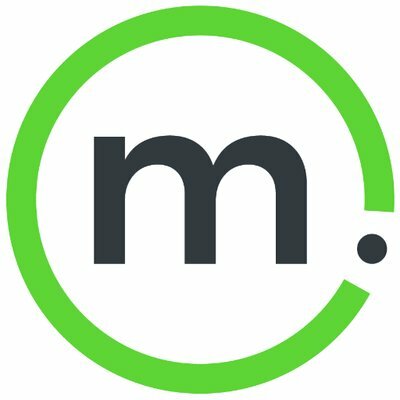 Mersive added Solstice Pod support for Miracast in the 3.5 release (December 2018). If you have enabled Miracast on your Solstice Pods but are encountering Miracast connectivity and/or performance issues, there are several troubleshooting checks that can be performed. This guide focuses on troubleshooting for Windows devices. Step through the Miracast Connection Troubleshooting Checklist if you have issues with user devices establishing Miracast connections to a Solstice Pod. Read through the Miracast Streaming Performance Troubleshooting section if there is noticeable lag or diminished quality when streaming content via Miracast to a Solstice Pod. Confirm that the Wi-Fi Adapter supports Wi-Fi Direct. Confirm that the Display Adapter can support WDDM (windows display driver model) 1.3 or greater. Most relatively new Windows devices’ hardware will support Wi-Fi Direct and WDDM 1.3+. For the display adapter, remember that the driver version matters too. It could be that the hardware supports WDDM 1.3, but the driver is old enough that it’s on an older WDDM version and simply needs to be updated. On the Windows device, open a command prompt. Type in ‘dxdiag’, then hit Enter. A window will pop up. Click Save All Information, then save the DxDiag output to a file. Open the DxDiag output file. In the System Information section, the Miracast entry should say “Available”. If it does not, there could be an issue with the hardware of the device, the version of Windows OS, or potentially the graphics or network drivers. In the Display Devices section (fourth section down), the Miracast entry should say “Supported”. If not, drivers may need to be updated OR the device is not using the graphics chipset drivers but a generic platform driver (e.g. Microsoft Basic Display Driver). If the Miracast entries above are not supported or available, update drivers to their latest versions. Right-click on the wireless adapter and click Disable, then right-click on the wireless adapter again and click Enable. Try to connect to the Miracast display. Check the version of the network driver. If there is a new update available, try updating and connecting to the Miracast display again. Disable group policy settings that would prevent the creation of the virtual network adapter. Ensure that the wireless adapter is broadcasting at 2.4GHz. Group policy settings on organizations’ networks sometimes block Miracast due to the setting “Don’t allow WiFi direct groups”. Have an IT admin with Active Directory admin permissions check the Wireless Network (802.11) Policies settings to see if “Don’t allow WiFi direct groups” is selected. If so, this setting must be deselected for Miracast to work properly on that network. Confirm that RTSP port 7236, TCP port 7250 (if using over Infrastructure), and UDP port 5353 (if using over existing network) aren’t blocked by the firewall. Also confirm that ports 32768:60999 (for Gen2i Pods) aren’t blocked either. If you are experiencing a noticeable lag or diminished quality when streaming content via Miracast to a Solstice Pod, please ensure that you have enabled Miracast using a recommended configuration. For more information, see our guide on How to Deploy Miracast. If you have implemented a recommended configuration and are still experiencing performance issues, please open a support ticket.